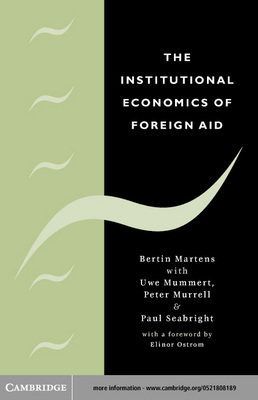 The Institutional Economics of Foreign Aid. 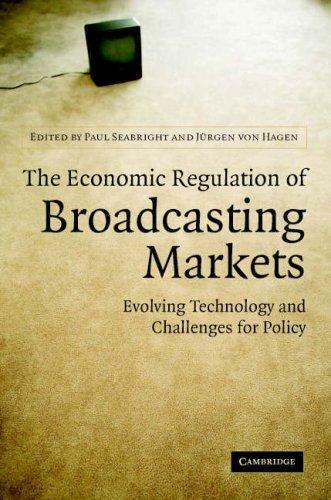 Bertin Martens, Uwe Mummert, Peter Murrell, Paul Seabright, Elinor Ostrom, Cambridge University Press, 2001. This book analyzes the institutions–incentives and constraints–that guide the behavior of persons involved in the implementation of aid programs. While traditional performance studies tend to focus almost exclusively on policies and institutions in recipient countries, the authors look at incentives in the entire chain of organizations involved in the delivery of foreign aid, from donor governments and agencies to consultants, experts and other intermediaries. They examine incentives inside donor agencies, the interaction of subcontractors with recipient organizations, incentives inside recipient country institutions, and biases in aid performance monitoring systems.